#137: For all of Mental Health Month we’ll be discussing the everyday use of words that correspond to mental health symptoms and disorders. 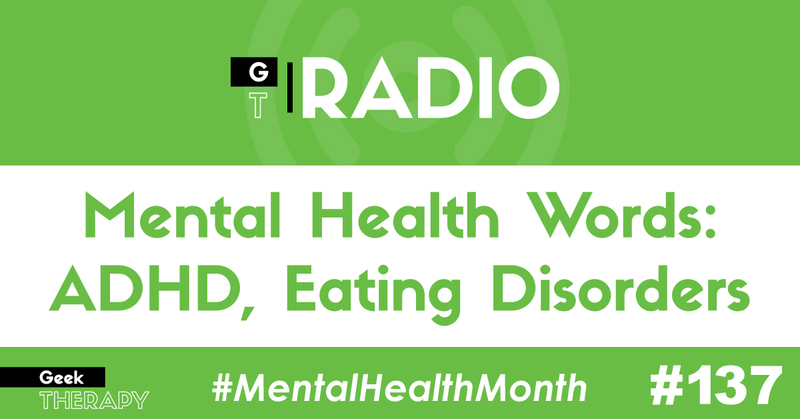 This week we’re talking about words related to ADHD and eating disorders. Discuss this episode on the Forum. *Enter our gaming week giveaway by visiting geektherapy.com/giveaway. For more on Mega Cat Studios, visit megacatstudios.com.